Through Certification cultivators demonstrate their industry and sustainability leadership, openness and accountability. The Cannabis Conservancy Sustainability Standards were developed specifically for the Cannabis industry, considering all of its unique components. The Sustainability Standards take a holistic approach to assure TCC Certified Sustainable Cannabis is the most sustainably cultivated Cannabis on the planet. 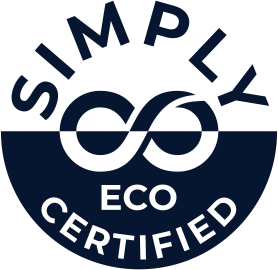 The SIMPLY ECO Certification goes beyond organic cultivation requirements and takes a holistic, ecosystems approach. It assesses seven pillars of sustainable cultivation: Policy & Implementation, Land & Infrastructure, Cultivation Practices, Harvesting & Processing, Energy, Water, and Waste. SIMPLY CLEAN Certified cannabis is cultivated in a way that assures final products are free from contaminants. It assesses Sustainable Production Practices, Worker Training, Recordkeeping, Integrated Pest Management, Traceability & Product Testing. The SUN + EARTH Certification, funded by Dr. Bronner’s, celebrates cannabis cultivated under the sun, in living soil, without chemicals, by family farmers. It assesses three pillars of regenerative cultivation: Earth Care & Cultivation, Human Empowerment and Community Engagement. The TCC assessment and certification system is designed to achieve consistent results in multiple contexts and with different staff. This is essential to having a reliable assurance program that can ensure replicable results across the program. TCC personnel have demonstrated experience, training and technical knowledge of quality assurance and sustainable Cannabis production and are able to interpret and apply the intent of the Standards in all situations. Having competent management and implementation of the TCC program ensures greater integrity and efficiency in the implementation of the system. TCC certification system is transparent and is under the scrutiny of stakeholders, thus reducing the risk of corruption or conflict of interest. TCC is completely independent from any laboratories, input producers or suppliers. Transparency builds confidence in the certification standard as the public is more trusting of institutions that are open. The TCC certification process and detailed level of inquiry assure adequate intensity of the assurance process. This includes how clients are sampled, how often, and how thoroughly, intensity of surveillance, and the level of stakeholder engagement in the assurance process. Clients of TCC are treated fairly and objectively. Impartiality can be demonstrated through our detailed internal QMS process that outlines auditor independence and provisions for transparency and stakeholder engagement. Certification Standards and organization programs that are accessible help support the sustainability objectives of the Standards system. The TCC objective is to provide accessible certification services that are affordable to clients who fall within the scope, are socially responsive, easily understandable, and within reach of our target clients.